I love cornbread a lot. I have made many versions of cornbread since I discovered the recipe few years ago. And I don't even remember where I saw it, probably it was Nigella's show because it was her recipe of cornbread topped chili con carne that I had cooked first and then hooked to the cornbread more than the chili. This was an extension of my love for makki ki roti, more so because cornbread can be served differently every time you bake it. This skillet cornbread is an oft repeated recipe for it's simplicity and small size and I have baked savoury muffins using the basic cornbread recipe with added grated zucchini or spinach and loads of cheese. A simpler and lighter cornbread with loads of fresh vegetables is what I intended this time and took this cornbread to a family potluck last Sunday. The reason why I have no pictures of how the broccoli cornbread was served :-) But there is one instagram picture that I shared, the cornbread was served with a sharp green garlic chutney and everyone just loved it. The green garlic chutney and the sesame topping over the bread brought the memories of a handvo my mom used to bake in our childhood days. 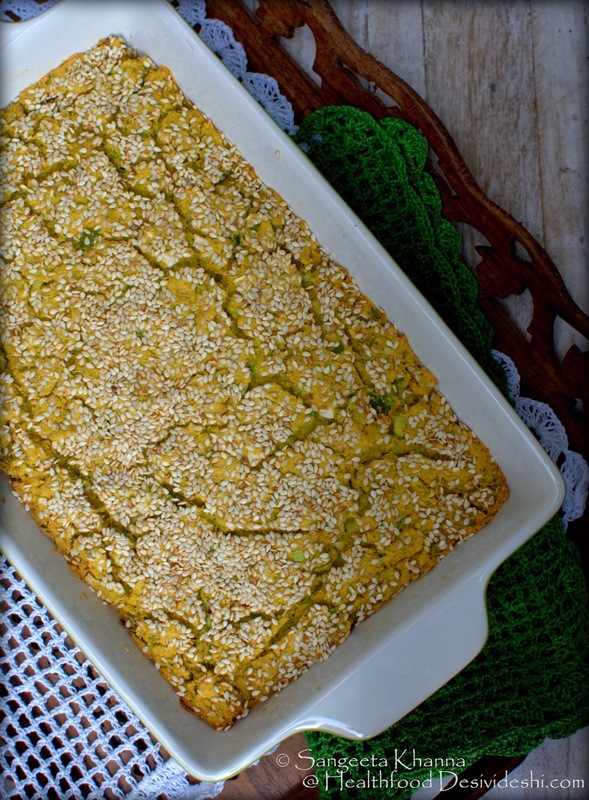 This broccoli cornbread is nowhere close to handvo in taste but the appearance resembles the Gujrati handvo for sure. This reminds me of a packed lunch we had once at a workshop by noted author Cheryl Strayed, and it had a sweet and sour dhokla in the lunch pack. Cheryl inquired about it and compared it to cornbread as it looked like one. 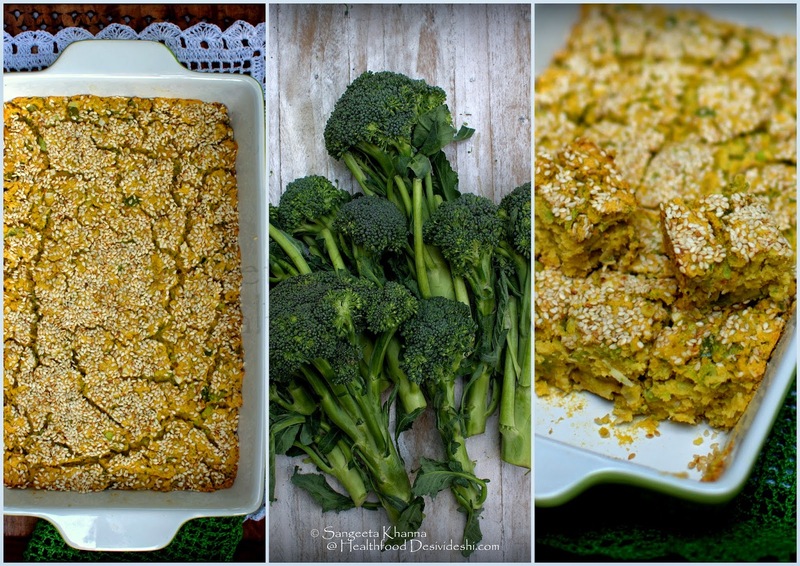 This broccoli cornbread was baked as a way to use up too many broccoli someone sent from an organic farm. I made soups, had parboiled broccoli, had them for salads and yet some broccoli was turning pale when I got it grated and chucked it in the cornbread batter. 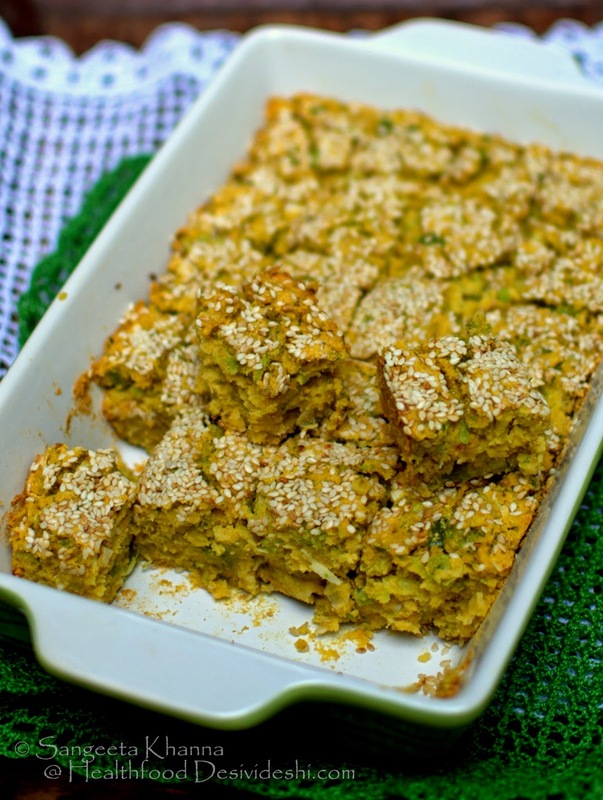 This cornbread is baked without any eggs or cheese and still the taste was great. I decided to top the bread with roasted sesame seeds and that provided added texture and some nuttiness to the bread. Whisk the yogurt and keep aside. Mix the salt and pepper and the soda bi carb to the corn meal and give it a good stir so everything mixes well. Now add the grated broccoli and mix well. Pour the whisked yogurt into the broccoli corn meal mix slowly and whip again to make a thick but loose batter. The batter is not flowing consistency but is loose enough to spread in the baking dish. Sprinkle half of the sesame seeds (if using) in the base of a baking dish (11X7 inches) and smoothen the batter using a knife or spatula. Sprinkle the remaining sesame on top of the mix and pat to embed them nicely. 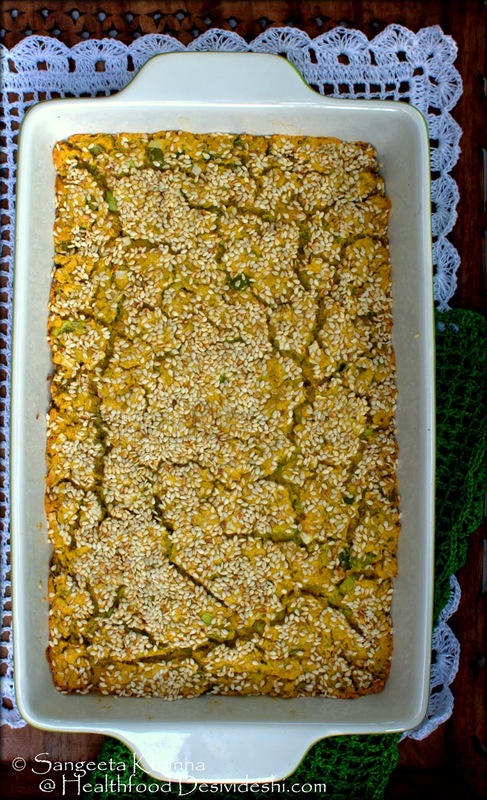 Grease the baking dish if not using sesame. Bake in preheated oven at 170 C for 40 minutes or till a knife poked comes out clean. Serve hot with a cheesy dip, with a hot soup or with some rajma or maah ki daal as we do sometimes. Or go the chili con carne way or just serve it as a snack. We enjoyed it as starters for an elaborate family lunch. A sharp green garlic and coriander greens chutney was served with it and everything was polished off talking about the handvo of our childhood. Remember that it tastes great when hot but doesn't cut well when hot. Tricky? You have a magical hand girl.. Midas food touch.. what u do is great.. never thought brocoli can be made this way.. Yesterday I tried the brownie cake you had mentioned in your blog under the labels brownie. need less to say it turned out to be very good. It was my second attempt in baking and I was a bit apprehensive as my first cake was burnt . But his turned out to be lovely and my daughter liked it so much plucking all the strawberries and eating away. 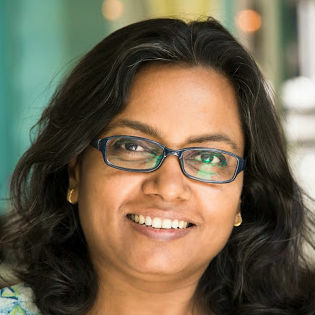 thanks for the recipe and so many more that you write here and bring warmth and happiness in our lives. You dont even know how much it helps when we have to make something adhoc. I am going to make corn pakora and other things also from you blog. thanks once again and a big hug to you.